The only supply-side revision this month to the U.S. 2018/19 rice balance sheet was a 0.7-million cwt reduction in the production forecast to 218.8 million cwt, a result of a slightly lower yield. Production is still forecast up 23 percent from a year earlier. There were no revisions on the 2018/19 U.S. use side this month. Despite expectations of increased exports and little change in domestic use, U.S. rice ending stocks in 2018/19 are projected to be up 50 percent from a year earlier. There were no revisions to the 2018/19 U.S. season-average farm price forecasts this month. Season-average farm prices for all classes of rice are projected to be lower than in 2017/18. The 2018/19 U.S. rice production forecast was lowered 0.7 million cwt to 218.8 million cwt due to a slightly lower yield. At 7,539 pounds per acre, the 2018/19 U.S. average yield is down 24 pounds from the previous forecast, but up 32 pounds from a year earlier. Yield forecasts were lowered 100 pounds per acre this month for both California and Texas. 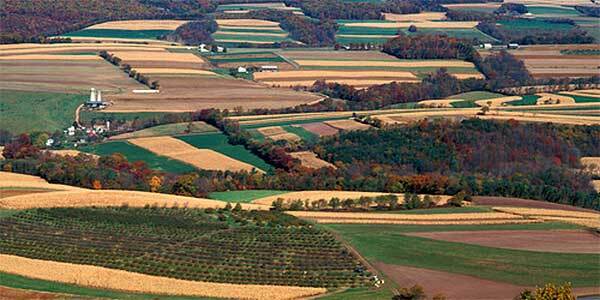 Harvested area remains estimated at 2.9 million acres, up 22 percent from a year earlier. Harvested area is forecast larger than a year earlier in all reported States, with Arkansas accounting for 60 percent of the 528,000-acre expected expansion in harvested area. Production is up 23 percent from a year earlier, mostly due to a substantial increase in plantings. Long-grain 2018/19 production is forecast at 159.0 million cwt, down 0.5 million cwt from the previous forecast but up 24 percent from a year earlier. Almost all long-grain rice is grown in the South. Combined medium- and short-grain production is forecast at 59.8 million cwt, down 0.2 million cwt from the previous forecast but 19 percent larger than the 2017/18 crop. Yields in 2018/19 are forecast higher than a year earlier in California and Louisiana; lower than a year earlier in Mississippi, Missouri, and Texas; and nearly unchanged in Arkansas. At 7,000 pounds per acre, Louisiana’s 2018/19 average rice yield is up 4 percent from a year earlier but still below the 2013/14 record of 7,300 pounds. California’s 2018/19 revised projected yield of 8,600 pounds per acre is up more than 2 percent from the below-trend yield of a year earlier but still well below the 2015/16 record yield of 8,890 pounds per acre. In contrast, Missouri’s 2018/19 projected rice yield of 7,000 pounds per acre is down 6 percent from the year-earlier record. 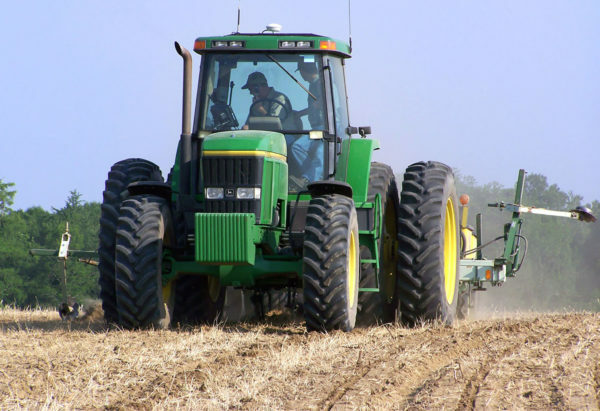 The Texas revised yield forecast of 7,100 pounds per acre is 2 percent below a year earlier. At 7,300 pounds per acre, Mississippi’s 2018/19 average rice yield is projected to be more than 1 percent below the year-earlier near-record. At 7,500 pounds per acre, the Arkansas rice yield is just 10 pounds above a year earlier but still 60 pounds below the 2013/14 and 2014/15 record. Rice crops in 2018/19 are forecast larger than a year earlier in all reported States, with Arkansas accounting for the bulk of the 40.6 million-cwt U.S. rice production increase. However, no State is projected to harvest a record crop in 2018/19. At 106.7 million cwt, Arkansas’ 2018/19 rice crop is projected up 29 percent from a year earlier, almost totally due to expanded area. At 10.1 million cwt, Mississippi’s 2018/19 rice crop is projected up 20 percent from a year earlier, also due to expanded area. Missouri’s 2018/19 production remains projected at 15.3 million cwt, up about 29 percent from a year earlier, due to an area expansion. The revised Texas rice crop forecast of 13.6 million cwt is down 0.2 million cwt from the previous forecast but up 19 percent from a year earlier, also due to expanded area. Louisiana’s 2018/19 projected production of 30.4 million cwt is up 15 percent from a year earlier, due to expanded area and a higher yield. California’s revised production forecast of 42.7 million cwt is down 0.5 million cwt from the previous forecast but up 14 percent from a year earlier, also a result of both expanded area and a higher yield. 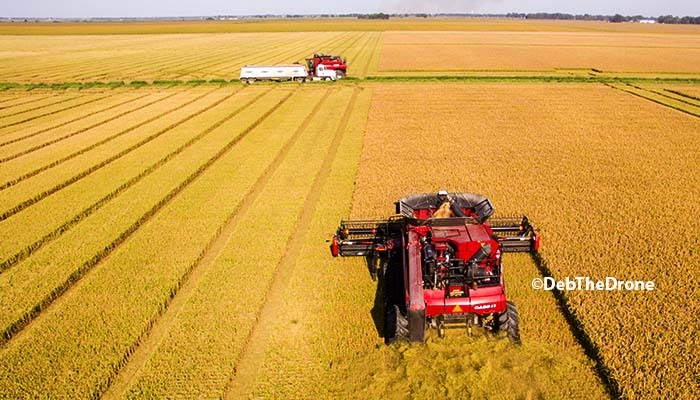 Harvest of the 2018/19 rice crop is complete on the Gulf Coast and nearing completion in the Delta, with progress close to or slightly ahead the 5-year average in the region. In contrast, the 2018/19 harvest pace in California is behind a year earlier and well behind the State’s 5-year average. Through October 7, 79 percent of the U.S. 2018/19 rice crop had been harvested, down 5 percentage points from last year but in-line with the U.S. 5-year average. Despite being slowed by rain in September, harvest on the Gulf Coast is virtually complete, typical for both Texas and Louisiana by early October. The harvest completion rates for the Gulf Coast do not include the ratoon crop harvest, which is produced from the stubble that remains in the field after the first harvest. Texas and Southwest Louisiana are the only U.S. rice growing regions capable of producing a ratoon crop, due to their longer growing seasons. Ratoon crops are harvested in October and early November. 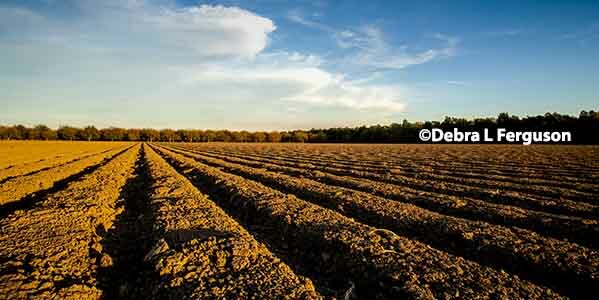 In the Delta, Arkansas’ 2018/19 crop was reported 88 percent harvested by October 7, behind last year’s pace of 93 percent but 4 percentage points ahead of the State’s 5-year average. 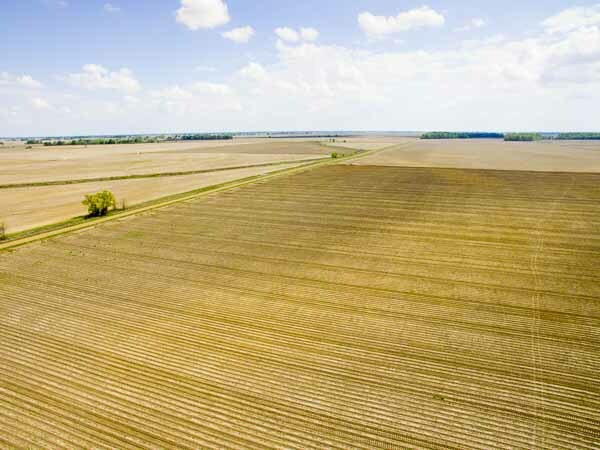 Missouri’s 2018/19 harvest was reported 71 percent complete by October 7, 6 percentage points ahead of a year earlier but in-line with the State’s 5-year average. Mississippi’s 2018/19 harvest was reported 92 percent complete by October 7, unchanged from a year earlier but well ahead of the State’s average of 83 percent. In contrast to the South, California’s 2018/19 harvest was reported just 30 percent complete by October 7, 7 percentage points behind a year earlier and well behind the State’s 5-year average of 45 percent. The only supply-side revision this month to the 2018/19 U.S. rice balance sheet was a fractional decline in the crop forecast to 218.8 million cwt, with both the long-grain and medium- and short-grain forecasts lowered slightly. Carryin remains estimated at 29.4 million cwt, down 36 percent from a year earlier. Long-grain carryin remains estimated at 20.3 million cwt, 35 percent below a year earlier. Medium- and short-grain carryin remains estimated at 7.6 million cwt, also 34 percent below a year earlier and the smallest since 1999/2000. Imports in 2018/19 remain forecast at a record 27.0 million cwt, fractionally above a year earlier. Long-grain 2018/19 imports remain forecast at a record 23.5 million cwt, also fractionally above a year earlier. Thailand, India, and Pakistan are expected to again account for the bulk of U.S. long-grain rice imports, shipping almost exclusively aromatic rice varieties. In recent years, Brazil has shipped regular milled long-grain rice to the United States, with Puerto Rico now an important market. Medium- and short-grain imports remain projected at 3.5 million cwt, slightly below a year earlier. Specialty rice from Thailand accounts for most of U.S. medium- and short-grain rice imports. China has recently shipped much smaller quantities of medium- and short-grain rice to the United States, with some of it going to Puerto Rico. Total U.S. rice supplies in 2018/19 are projected at 275.2 million cwt, down 0.7 million cwt from the previous forecast but nearly 10 percent larger than a year earlier. The year-to-year supply increase is the result of a much larger crop more than offsetting a big decline in carryin, with imports nearly unchanged. Long-grain supplies are projected at 202.8 million cwt, down 0.5 million cwt from the previous forecast but up 11 percent from a year earlier. Medium- and short-grain supplies are forecast at 71.0 million cwt, down 0.2 million cwt from last month’s forecast but 5.2 percent larger than a year earlier. 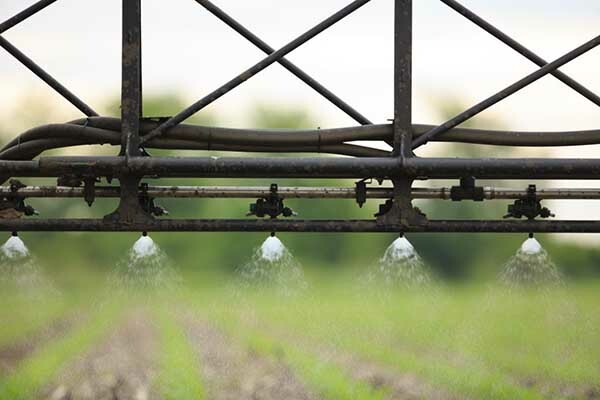 There were no demand-side revisions to the 2018/19 U.S. rice balance sheet. Total domestic and residual use of rice in 2018/19 remains projected at 133.0 million cwt, more than 1 percent below a year earlier. In addition to food and industrial uses of rice—primarily as pet food and beer—domestic and residual use accounts for post-harvest losses, including unreported losses in processing, marketing, and transporting. These losses are typically proportional to the crop size. Long-grain domestic and residual use remains projected at 103.0 million cwt, 4.5 percent larger than the 2017/18 level. Medium- and short-grain domestic and residual use remains projected at 30.0 million cwt, 17 percent below the abnormally high level for 2017/18. Total U.S. rice exports in 2018/19 remain projected at 98.0 million cwt, up 13 percent from the year-earlier revised estimate. On an annual basis, the expected increase in 2018/19 exports is based on larger supplies, more competitive U.S. prices in Western Hemisphere markets, and weaker shipments from Australia and Egypt—top competitors in the global medium- and short-grain market. U.S. rough rice exports in 2018/19 remain projected at 33.0 million cwt, up 15 percent from the 2017/18 estimate. The United States is expected to regain some lost market share in traditional U.S. long-grain rough-rice markets in Latin America, primarily Mexico, Central America, and Venezuela. The United States has recently lost market share in these markets to more competitively priced South American exporters. U.S. milled rice exports (combined milled and brown-rice exports on a rough basis) in 2018/19 remain projected at 65.0 million cwt, 11 percent above a year earlier. On an annual basis, Latin America (primarily Haiti) and Northeast Asia are likely to import more U.S. milled-rice in 2018/19, with the expected growth in Northeast Asia mostly accounted for by shipments purchased in 2017/18. Haiti is expected to remain the largest market for U.S. long-grain milled rice. U.S. sales to the Middle East are expected to be larger as well, also a result of more competitive U.S. prices. U.S. long-grain exports in 2018/19 remain projected at 69.0 million cwt, 9 percent above a year earlier. The increase is primarily based on lower U.S. prices and larger supplies. Latin America, the largest market for U.S. long-grain rice exports, is expected to account for much of the increase. The Middle East is expected to purchase more U.S. long-grain rice as well. Combined medium- and short-grain U.S. exports remain projected at 29.0 million cwt, up 22 percent from the 2017/18 abnormally low level despite expectations of virtually no sales to Turkey, typically an important buyer. Some of the expected increase in 2018/19 is due to shipments to Northeast Asia that were purchased in 2017/18. In addition, the United States is likely to pick-up additional sales in parts of the Middle East and North Africa other than Turkey, due to Egypt’s tight supply situation and decision to import rice and a second consecutive weak crop in Australia, also typically a competitor in the global medium- and short-grain market. Total use of U.S. rice in 2018/19 remains projected at 231.0 million cwt, 4 percent larger than a year earlier. Long-grain total use remains projected at 172.0 million cwt, 6 percent larger than in 2017/18. Medium- and short-grain total use in 2018/19 remains projected at 59.0 million cwt, 1.5 percent smaller than a year earlier, a result of smaller domestic use. U.S. ending stocks of all rice in 2018/19 are projected at 44.2 million cwt, a decrease of 0.7 million cwt from the previous forecast but 5 percent larger than a year earlier. The substantial buildup in ending stocks in 2018/19, despite stronger total use, is due to a 23-percent increase in production. The 2018/19 stocks-to-use ratio is projected at 19.1 percent, well above the abnormally tight 13.2 percent in 2017/18. The stocks situation varies somewhat by class. Long-grain 2018/19 ending stocks are projected at 30.8 million cwt, down 0.5 million cwt from the previous forecast but 51.5 percent larger than a year earlier. These are the largest long-grain ending stocks since 2010/11. The long-grain stocks-to-use ratio is projected at 17.9 percent, up from just 12.6 percent in 2017/18. 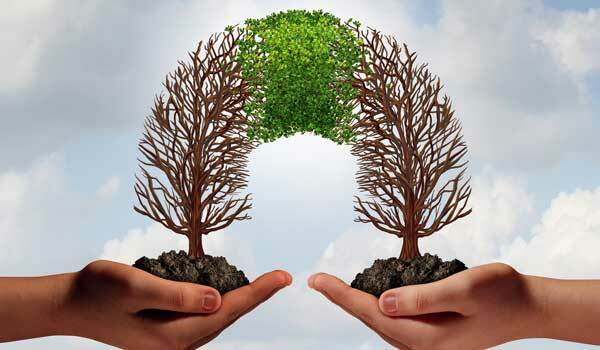 Ending-stocks and stocks-to-use ratio of these levels are expected to put downward pressure on U.S. long-grain prices during the 2018/19 market year. For medium- and short-grain rice, 2018/19 ending stocks are projected at 12.0 million cwt, down 0.2 million cwt from the previous forecast but 58 percent larger the year-earlier abnormally low level. The medium- and short-grain stocks-to-use ratio is projected at 20.3 percent, up from just 12.8 percent in 2017/18. There were no changes this month to the 2018/19 U.S. season-average farm price (SAPF) forecasts. The 2018/19 long-grain SAFP remains projected at $10.30-$11.30 per cwt, with the midpoint down 90 cents from 2017/18. The southern 2018/19 medium- and short-grain season-average farm price remains projected at $10.60-$11.60 per cwt, with the midpoint $1.00 below a year earlier. The California 2018/19 medium- and short-grain season-average price remains projected at $15.80-$16.80 per cwt, with the midpoint is just 30 cents below the 2017/18 SAFP. The U.S. 2018/19 medium- and short-grain season-average farm price remains projected at $14.20-$15.20 per cwt, with the midpoint 30 cents below a year earlier. The all-rice 2018/19 season-average farm price remains projected at $11.20-$12.20 per cwt, with the midpoint 90 cents below a year earlier.